Two-way calendar sync helps Dubsado's users grow their business. Dubsado is a one-of-a-kind business management platform designed to cut out the busywork for entrepreneurs. Entrepreneurs juggle with promoting their business, conducting administrative tasks, and doing client work. Administrative tasks eat into entrepreneurs’ precious time, making it harder for them to provide high-quality services to clients. Dubsado exists to take away some of the pains that come with managing a business. Users save time and can focus on their work and growing their business. 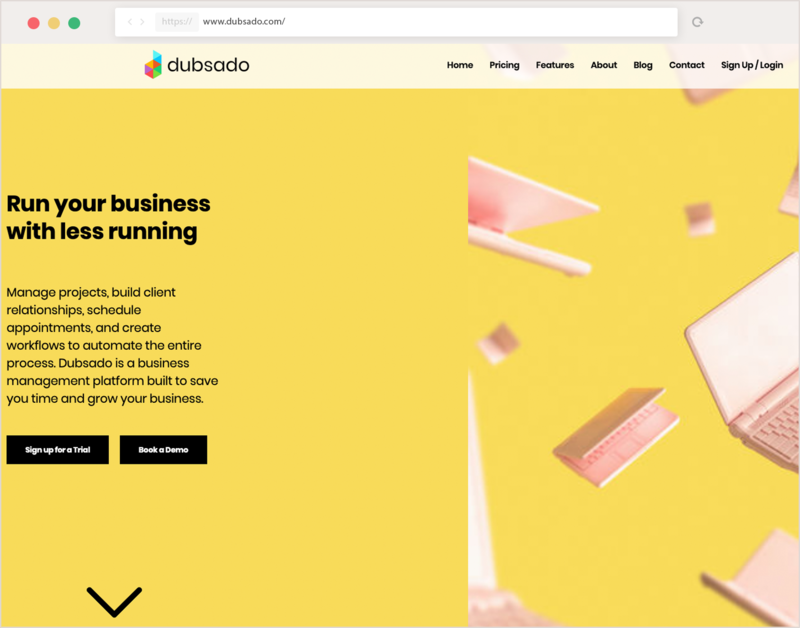 The team at Dubsado is fully committed to helping their users grow and run their businesses more efficiently by offering them new features that make their lives easier. They identified that booking appointments was a big pain point for their users. Entrepreneurs often have to jump between personal and professional commitments. They waste a lot of valuable time switching between their calendars and business management platforms. It also increases the risk of double-booking and missed appointments. Entrepreneurs need to see all their commitments – both professional and personal – in one place. That’s why the team at Dubsado decided to work on adding a real-time calendar sync feature to their platform. They looked into how they could allow their users to sync their personal calendars to their calendar interface and simplify the appointment booking process. Dubsado wanted the solution to work for all their users, no matter what calendar service they use to manage their schedules. But building individual connections to every calendar service provider takes months of development time. The maintenance of those connections is ongoing for developers too. That’s why they reached out to Cronofy. At Cronofy, we fully understand the pains of building individual connections with all major calendar providers and we exist to make scheduling easier for everyone. The Cronofy Unified Calendar API works with Google, Apple, Outlook.com, Office 365, and Microsoft Exchange. We take care of all the maintenance too. With Cronofy you can add two-way calendar sync to your products 90% faster. When setting up, users are prompted to choose the calendar they need to sync. Once an event is created or edited in Dubsado, the changes are automatically reflected in the synced calendar and vice versa. Everything is updated in real-time. The risk of users missing appointments because they’ve double-booked themselves is gone. Most Dubsado users have a multitude of events on their calendar and Cronofy allows them to easily manage all of their important dates in one place. With Cronofy, our users can easily manage all of their events across multiple devices. With this, Cronofy has allowed our platform to be the starting point and center point for our users to organize their calendar efficiently. But Dusado’s developers didn’t stop there. The calendar data provided via the Cronofy integration is used to power their online scheduler. This tool displays the real-time availability of users’ calendars. 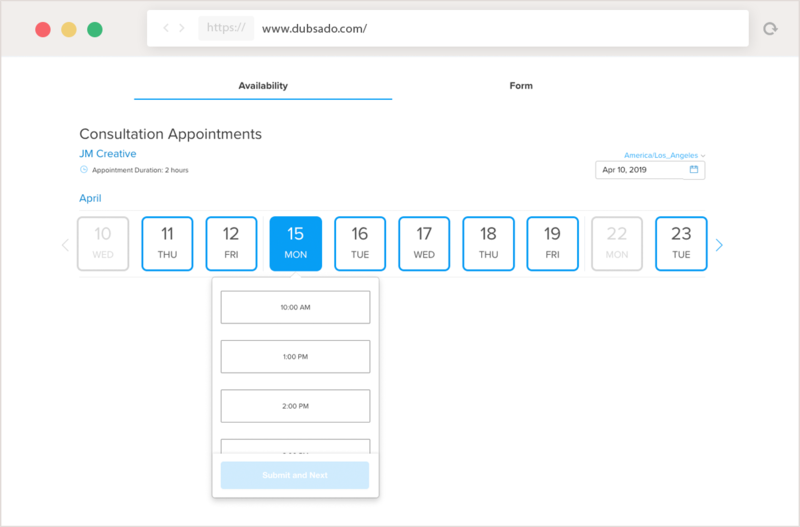 Dubsado’s users use the online scheduler to share their availability with prospects and clients. The online scheduler can be embedded directly on their websites or shared via email as a link. It offers a slick interface that displays available time slots. This helps users to save further time they’d otherwise have spent making calls and sending emails to book appointments. Their clients, meanwhile, have the power to self-book appointments online in a few clicks and choose the slot that best suits them. 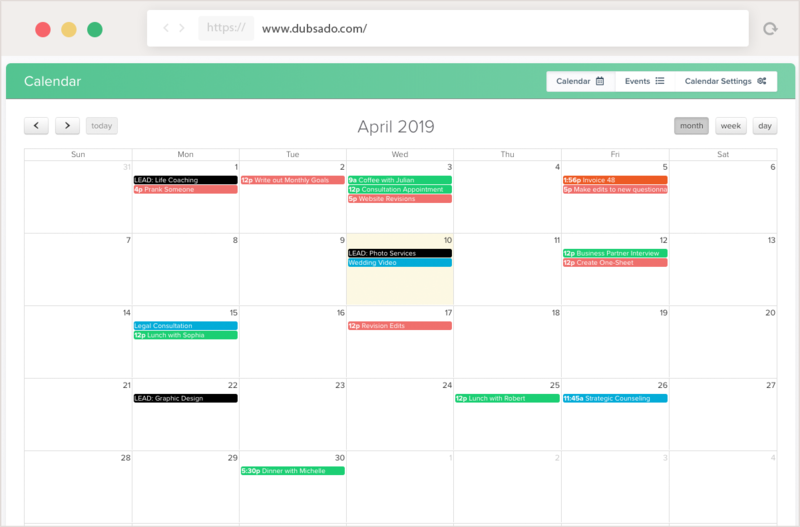 With the help of the Cronofy Unified Calendar API, Dubsado has built – quickly and securely – two-way calendar sync that helps their users grow their business. This has helped them attract more clients and increase revenue. No matter what calendar service provider you need to integrate your software with, the Cronofy Unified Calendar API can help. You can offer your users streamlined scheduling solutions that work with every major calendar provider in a fraction of the time.